This tome is one part history of the Jefferson People's House. 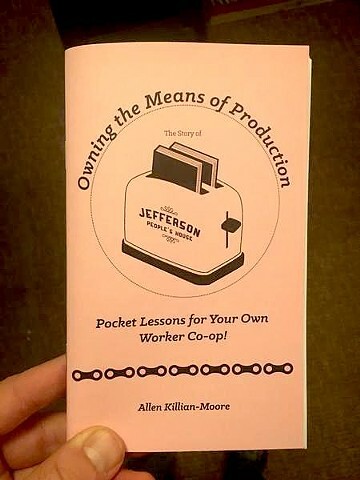 a worker-owned cafe-bookstore-event space in Duluth Minnesota, and one part how-to guide for starting your own worker-owned cooperative business. If you're interested in starting a worker-cooperative, the blue-prints are laid out inside Owning The Means of Production, including what might work, and what might not.